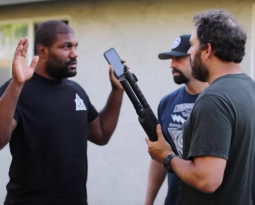 Rampage Jackson Slapped by Trainer for Eating Cake & Caught by TMZ! 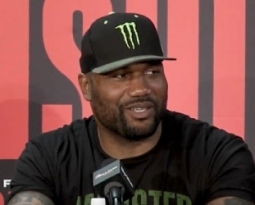 Rampage Jackson tried to sneak in some Starbucks pound cake on Friday night while chatting with TMZ reporters. But Coach Tiki Ghosn was not going to let the happen. As Rampage was about to take a bite, Coach Tiki rushed over and swatted the pound cake out of his mouth. Rampage was not happy and the two got into a scuffle. 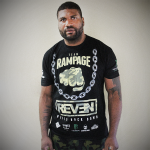 With Rampage’s upcoming fight at Bellator 157 Dynamite 2 against Satoshi Ishii on Friday, June 24th, Coach Tiki has been watching Rampage like a hawk.